Thanks to @evacide for tweeting the best quality version of the invoice I've seen so far. 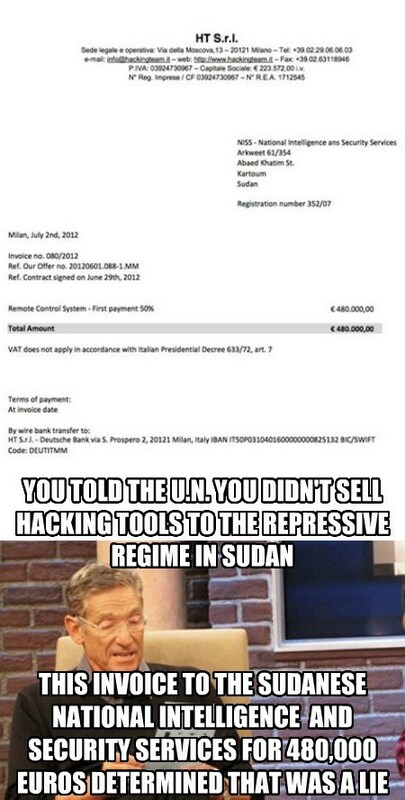 I gather Hacking Team may have actually said that they had no business relationship with Sudan, and that at the time they said it it was technically true, but only because they'd been ignoring the question for months and had just broken off their relationship with them. Just the sort of weasel-words you'd expect from a shady company like that.